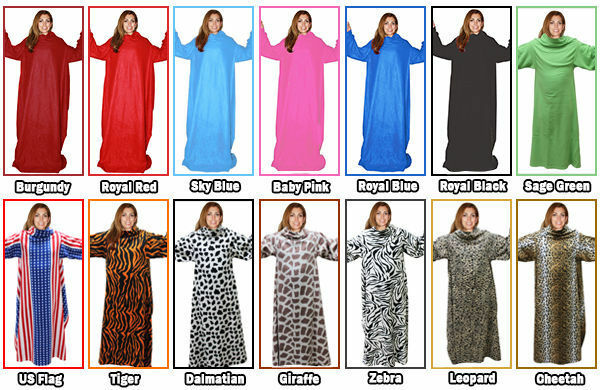 Made of super-soft, lightweight, luxurious and snuggly fleece with oversized loose fitting sleeves. So shoulders, arms and upper body remain protected from the cold but arms and hands are free to use your laptop, TV remote, read a book, talk on the phone, eat a snack and much more. 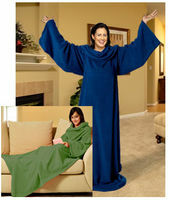 This sleeved blanket won't slip and slide like a regular blanket and allows complete freedom of movement. As the temperature drops, these pajama throws keep your heating bill low and stay warm and comfy with your blanket. Ideal for staying toasty warm at sporting events or chilly outdoor evenings. This cozy, super large, machine washable fleece makes the perfect gift! It does not slip and slide like a regular blanket so it keeps you warm from head to toe while allowing complete freedom of movement. bought this for my wife to wear while watching TV in our old farm house and just got it two days ago. My mother came to visit and tried it out and loved it...she's always cold. So we ended up giving it to her and I've ordered another for my wife. 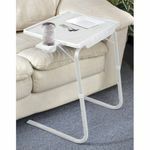 The inside is very soft and comfortable and it provides plenty of warmth. A great buy. Product arrived in good time and exactly as described.